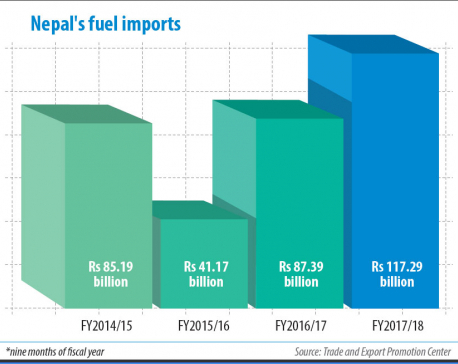 KATHMANDU, April 24: Nepal's fuel imports surged by a massive 39.2 percent in first eight months of the current fiscal year compared to same period of Fiscal Year 2016/17, according to Department of Customs (DoC). Data compiled by the DoC shows that the country imported petroleum products worth Rs 116.3 billion in the first eight months of FY2017/18, compared to Rs 83.5 billion in the same period of previous fiscal year. While value of diesel imports surged by 38.4 percent to Rs 54.06 billion in the review period, quantity grew by 25.5 percent to 974.4 million kiloliters. In the first months of FY2016/17, the country had imported 776.3 million kiloliters of diesel worth Rs 39.05 billion. Similarly, import of liquefied petroleum (LP) gas increased by a staggering 46.12 percent in the first eight months of FY2017/18. 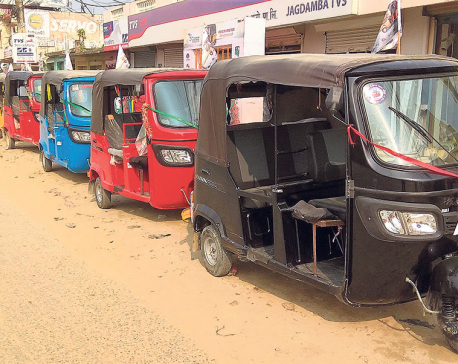 The country spent Rs 17.6 billion to fool LP gas import bills in the review period, compared to Rs 12.05 million in same period of previous fiscal year. Nepal imported 245.2 billion kilograms of LP gas in the first eight months of FY2017/18 - a rise of 25.42 compared to 195.5 billion kilograms in the same period of last fiscal year. Import of petrol also saw a growth of 32.78 percent in terms of import value and 20.45 percent in terms of quantity in the review period. The country imported 30.6 kiloliters of petrol worth Rs 16.6 billion in the first eight months of FY2017/18, compared to 25.4 kiloliters of petrol in the same period of the previous fiscal year. 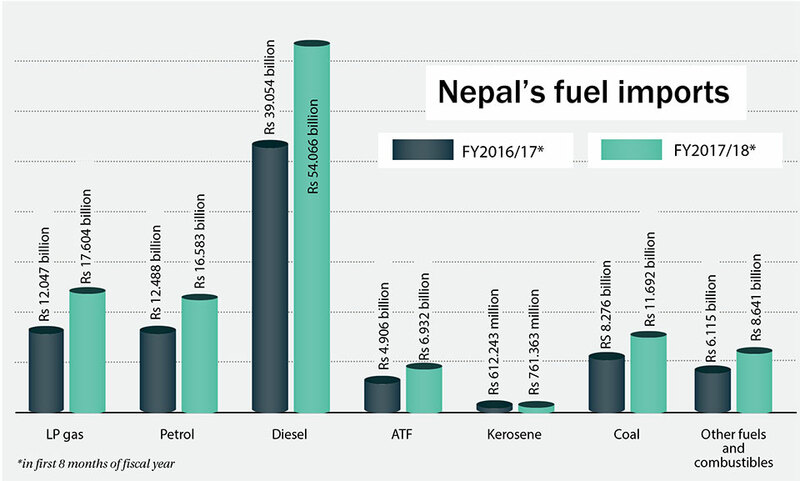 According to the data, Nepal imported Aviation turbine Fuel (ATF) worth Rs 6.9 billion in the first eight months of FY 2017/18 - a rise of 41.2 percent compared to total imports worth Rs 4.9 billion in the review period of the previous fiscal year. Import of coal and kerosene also increased by 41.9 percent and 24.36, respectively, over the first eight months of FY2017/18. While the country imported coal worth Rs 11.7 billion in the review period, it footed kerosene import bills of Rs 76.1 million. "There has been a significant surge in the price of petroleum products in the market. 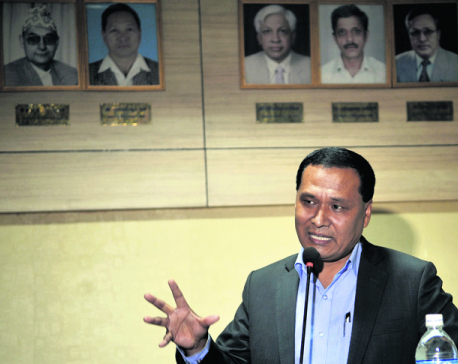 Also, demand has increased considerably as reconstruction and business activities are increasi”g," Susheel Bhattarai, acting deputy manager of NOC.